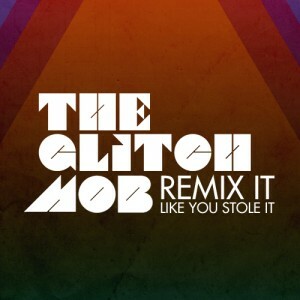 The Glitch Mob just launched a remix contest – Remix It Like You Stone It. They’re offering one of the bangers from their album Drink the Sea, which came out in May on new label Glass Air. The winning track will be featured in the upcoming Drink The Sea Remix Album, and not to mention the opportunity to have The Glitch Mob get behind and promote your music. The Glitch Mob will release Drink The Sea Remix Album later in the Fall, and they’re also planning a 25+ show US tour. Proceeds from the sale of the release through Download will go Donate for Haiti v2.0 will benefit Music For Relief’s Haiti Earthquake Recovery, a 501(c)3 non-profit organization dedicated to providing aid to victims of natural disasters and disaster prevention. Listen to the original track “Drive It Like You Stole It” from their Drink The Sea. Contest details & prizes below. Step 3) Use the audio material provided and your own software or instruments, or add your own vocals to create your remix. Remixes using uncleared material or containing inappropriate content will be disqualified. Two winners will be selected. Get the most “favorites” on Soundcloud to win the popular vote, or be selected by The Glitch Mob’s private panel of judges to become the Mob’s Pick. Inclusion on the Drink The Sea Remix Album to be sold through DownloadToDonate.org in benefit of Music For Relief’s Haiti Earthquake Recovery. Marketing support from The Glitch Mob and Remix It Like You Stole It supporters and sponsors. Signed copy of The Glitch Mob’s Drink The Sea vinyl package and collectors T-shirt.